I’ve been thinking about my idea pretty much all day, and I’ve decided to go ahead with it. As I mentioned yesterday, I plan on doing weekly podcasts, 10-20 minutes in length, that feature interviews with popular/famous/competent bloggers/affiliate marketers. I don’t have a set launch date yet, but I’ve already sent out interview requests to a couple well-known bloggers, so I’m hoping it won’t be too long. Now all that’s left to do is write up some interview questions and figure out the technical side of things. I’m planning on conducting the interviews over Skype. Shouldn’t be too hard. 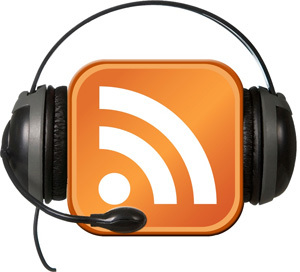 I’ll be using Podpress to handle the podcast/Wordpress integration. Still trying to figure this one out, although it looks pretty simple. Podpress seems to integrate with iTunes. There’s one problem though: I’ve never used iTunes before. For anything. I’ll have to see if I can use it to my benefit. I know nothing about sound file editing/combining. All I really need is a program that can stitch multiple sound files together and save the output as an MP3, and I’ve heard good things about Audacity. I’ll be playing around with that soon. Sounds simple, right? Well, I have to figure out transitions and what to actually put in the intro. Maybe I should include a clip of some song that fades out after 10 seconds? I don’t really know yet. I need to send out more interview requests. If you’d like to hear me interview someone in particular, leave a comment or send me a message. I kinda want to hear C&tD, but I’m pretty sure that would ruin your site. Another vote for C&tD. At least in fake commercials, if nothing else. http://www.isthatadickmove.com/ and the two guys who run it might give you an idea of podcast format/ details. Are you going to have enough interviews to do “weekly”? Also, I’m seeing some funky template stuff up in the top left corner. Wavepad is a good program, with a very simple interface. I’ve been using it for awhile now.